Brushing our teeth bookends our days. It’s how we start and finish. Doing this mindfully lets us start and finish the day in a state of awareness and peace. It is important and refreshingly easy to make time for ourselves when just adapt practices we already to become mindful. 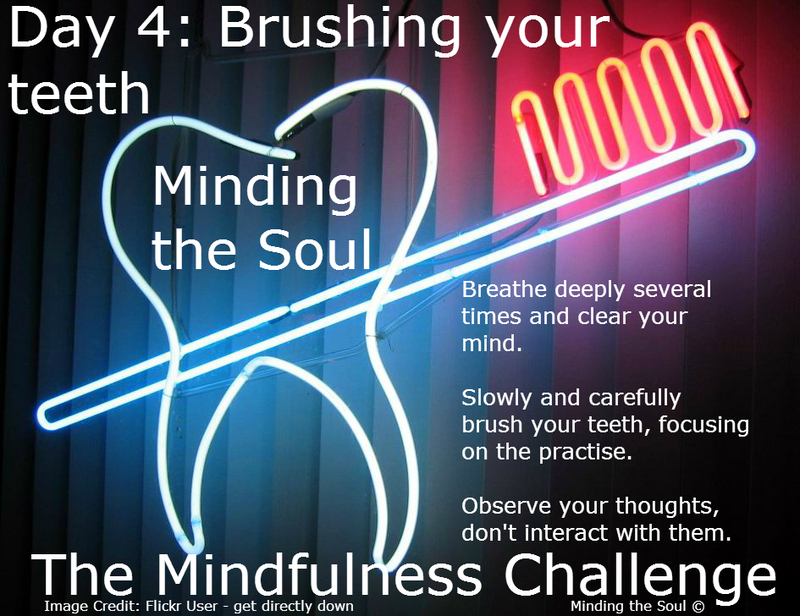 To brush your teeth Mindfully take a deep breath before the practice and clear your mind. Once you have done this brush your teeth slowly, taking your time and being aware of the sensations it creates. Don’t engage with any thoughts that appear, just let them pass. One of the reasons we stop most often during our day is to make drinks. Whether it’s tea or anything else these provide breaks and time away from the stresses and events of the day. Approaching the task mindfully let’s you make the most of this freedom. You can observe the triumphs and stresses of the day; becoming aware of them from a distance and clearing your mind. This example involves tea but please feel free to apply it your beverage of choice. Boil the kettle and clear your mind. Prepare the mug and make the tea. While doing this let thoughts and emotions rise in your mind but don’t interact with them. Take your time with the process, maximising the break and time to be aware of yourself and your thoughts. Find out more about mindfulness here. Doing the washing up isn’t everyone’s ideas of fun or their first choice for creating space and time in the day. 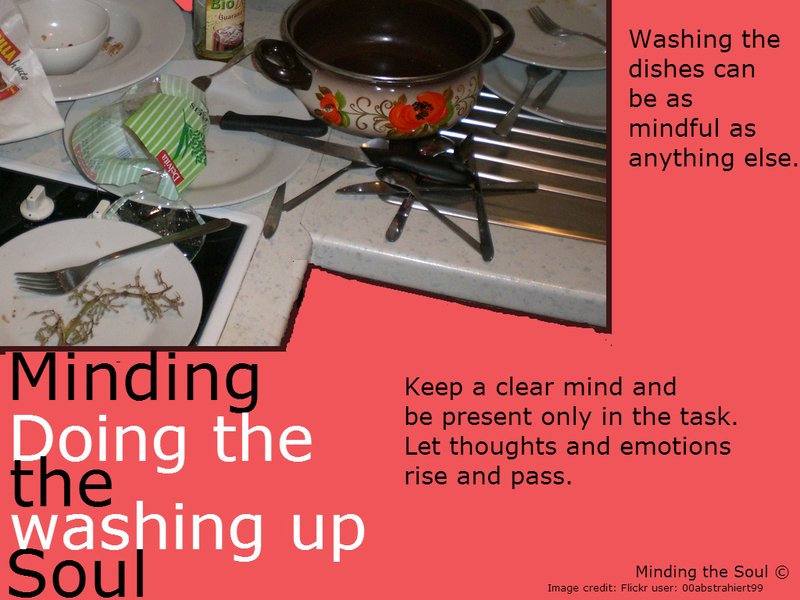 However when done mindfully even washing the dishes allows you to step back from your thoughts, letting them rise within you as you observe them. When you mindfully wash the dishes become only in the present moment. Feel the temperature of the water, the sounds that are made and any other sensation that occurs. Allow your mind to be clear and free of thoughts. Use the time to find peace, awareness and perspective on the day. Any thoughts or insights that are important will stay with you. 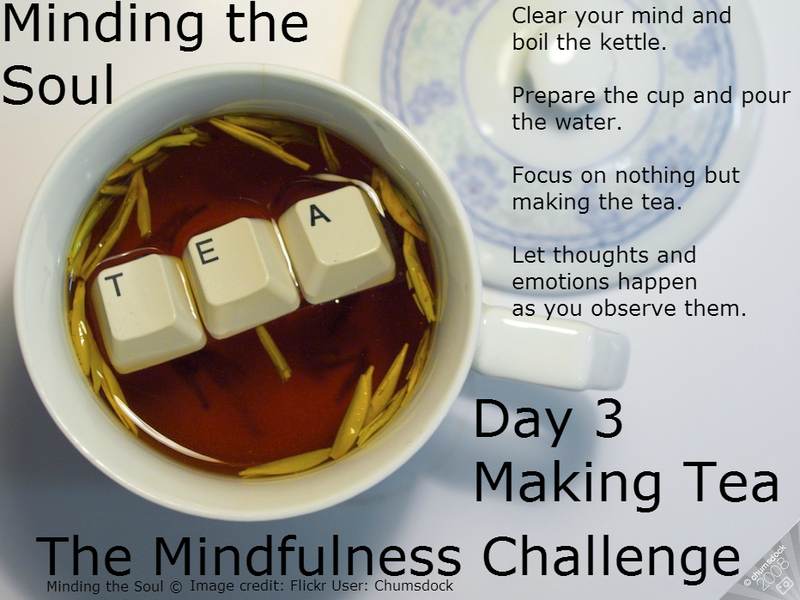 To find out more about mindfulness and how it can help you, click here. NEWS FLASH ——– Mindfulness What Next ?